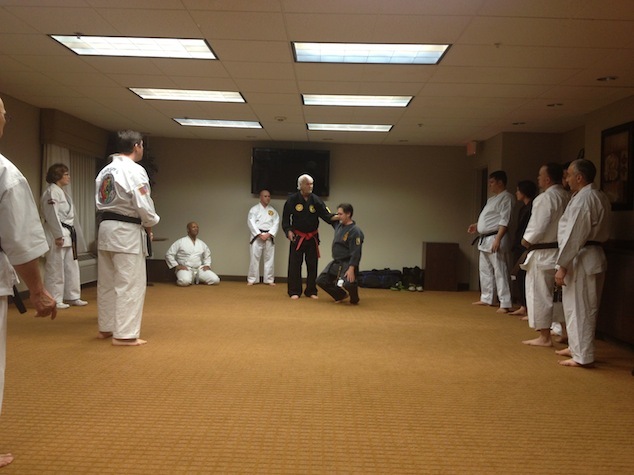 HANSHI LARRY ISAAC, 10 Dan, sponsored this event which was held on February 22, 2014 in Jacksonville, NC. The two day event involved a Toide Seminar by Hanshi Jody Paul, 9th Dan on Friday evening and a tournament on Saturday. (click to open or open as new tab - 10 page pdf flyer). 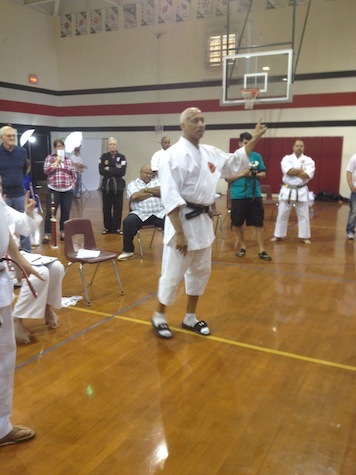 Hanshi Larry Isaac, 10th Dan, directing tournament activities. 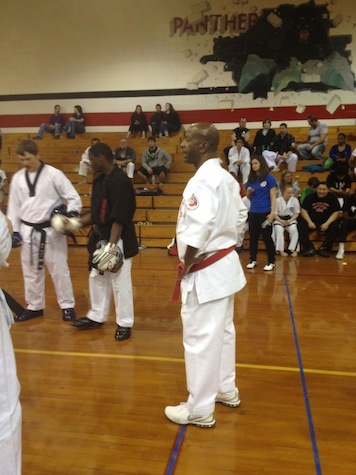 Hanshi George Epps, 9th Dan at tournament. 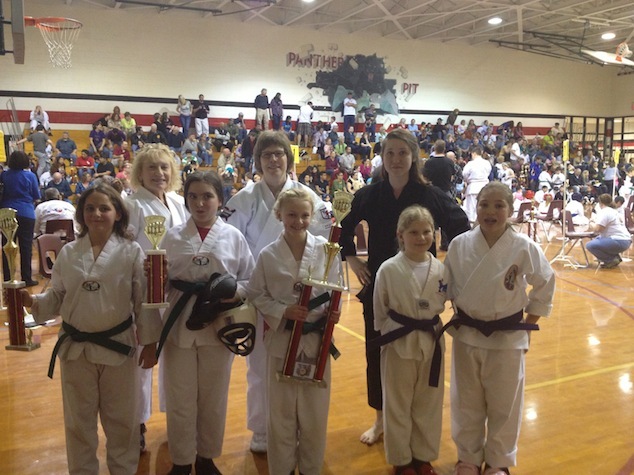 Hanshi ann-Marie Heilman and Kyoshi Sue Hawkes with winning competitors during tournament. Hanshi Jody Paul, 9th Dan working Toide technique on seminar participant of Friday evening session.